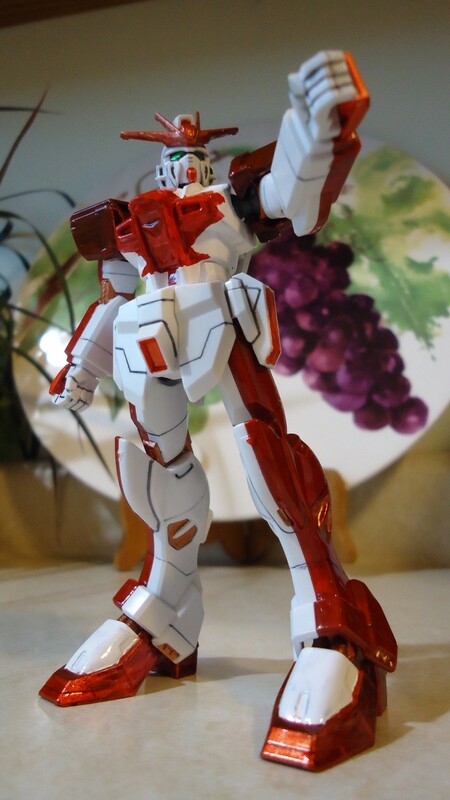 Here's my Canadian theme on my No-Grade 1/144 Impulse. So I made it look like the Canadian flag. 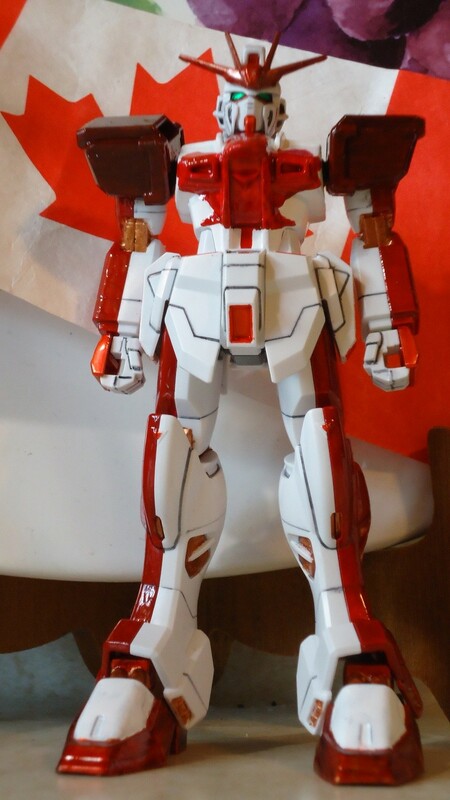 Red on half of the legs like the red on the outer half of the flag, with white in the middle with a red maple leaf in the middle of the Gundam. 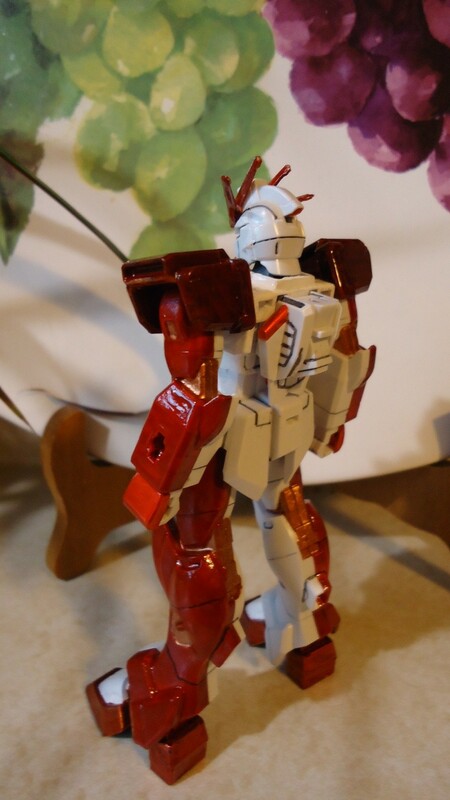 This model retails for 500 yen from what I've read. 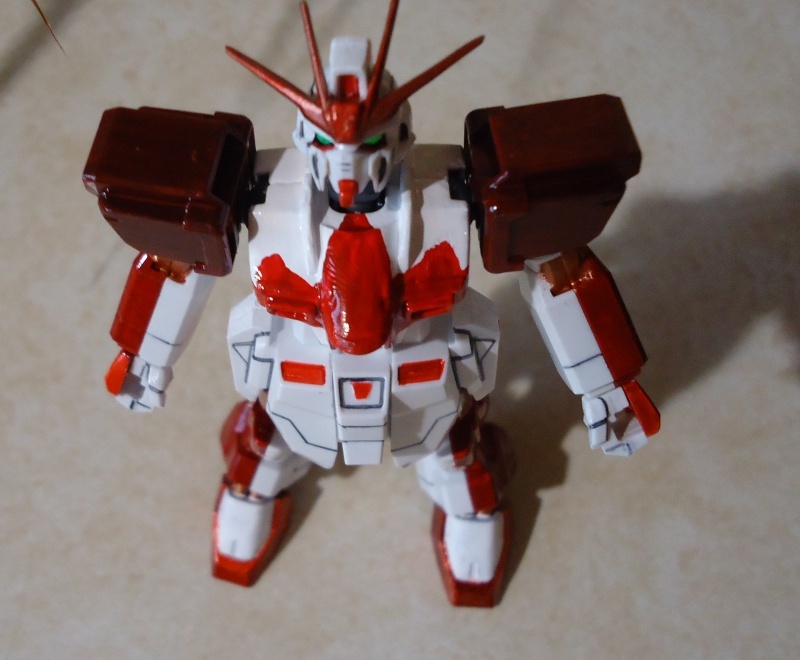 This Impulse model was a Blast Impulse kit, but I'm using the backpack unit on a custom I've been slowly working on. I'm by no means a pro painter. I still use paint brushes for everything I paint. I'll gladly post more pictures if anyone wants to see them. 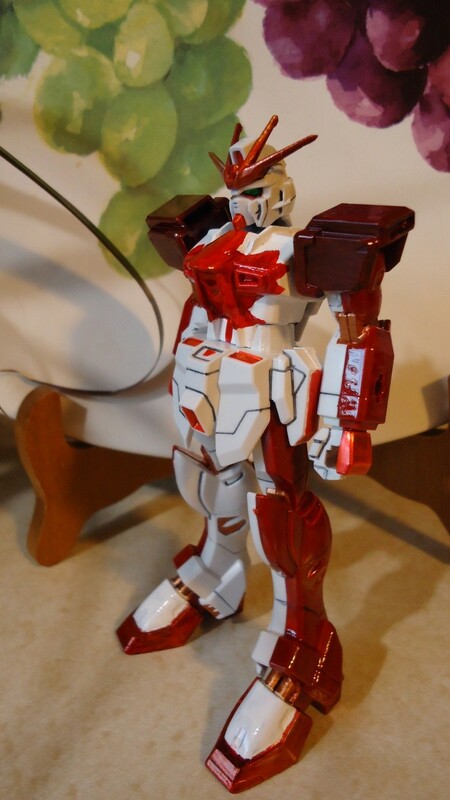 BRILLIANT use of the natural seam lines on this kit!!! This never occurred to me. I just love it when people get creative like this. Well done.